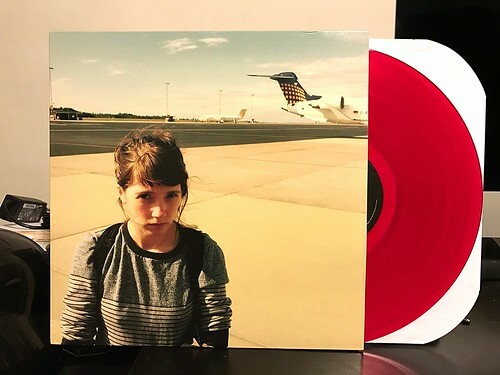 Blisters In The Pit Of My Heart is the second album from the UK's Martha. I bought and enjoyed their first LP that had come out on Salinas records. I kind of feel the same way about the new record as I did their previous one. It's good. It's not mind blowing or anything, but it is a solid poppy punk record. The male/female vocals make for some interesting dynamics, both with backing harmonies and the way the melody of each song works out. I had previously compared them to a band from Japan called Cigaretteman in the way the vocal interplay works over the course of a Martha song. While I still see that comparison on Blisters In The Pit Of My Heart, I think the music side of the equation is slightly more subdued than it was on their last record, Courting Strong. That's really it honestly. It's a good record. I have plenty of records that are pretty good like this one. That doesn't mean they're bad at all, but what it usually ends up meaning is that they tend to get filed away and forgotten after the initial 'new release feeling' wears off. We'll see how this works out for Martha. 1. Give it some time.